Toy Story, Cars, Finding Nemo, Wall-E, Up - you have probably watched all these movies. 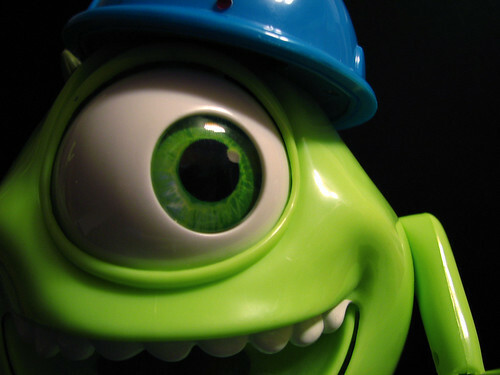 Ever wondered how these amazing animated movies were made? While you don't see actual humans on the screen, there are several hundreds (if not thousands) of people behind the story, animated characters and their motion, facial expressions and voices. For the first time in Oscar history, an animated movie was nominated in the category for Best Movie. Even though it did not win that award, Toy Story 3 took home the Oscar for the best animated feature film of 2010. Look back 6000 years to the burial chambers in Egypt. Many of the drawings on the wall depict various scenes from Egyptian life and death, showing people in progressive stages of some action. Even the ancient Egyptian artists wanted their drawings to move! Fast forward to the 1930s. Disney pioneered the art of cartoon movies with Mickey Mouse. Each split-second frame (picture) was hand-drawn, with successive frame showing slight movements (of say, the hand or leg) from the previous one. For every second of the movie, 15 or more such pictures were drawn by hand. The most creative artists drew the "key" frames (the most important frames, say, every 10 seconds), and the less experienced ones filled in the rest. Laborious? Yes. Totally worth it? Yes! In the 1980s, computers were used to fill in the colors from hand-created drawings. Hand-created drawings were photographed and scanned into the computers. Then specialized "paint programs" were used to fill in the colors - not unlike the Paint programs you use on your computer today. In the 1990s, 3-D animation software was a big leap. Even though the movie was still on a flat screen, the characters, their skin and clothing, and their motion were created as 3-D objects using specialized software. The computer automatically created the frames for the movie. Pixar's Toy Story was the first full-length animation movie ever created. Let's go through the process of creating an animation movie. The first step is to write a a short document summarizing the main ideas of the story. From that, Storyboards are drawn - each storyboard is like a hand-drawn comic-book version of a part of the story. As the story gets more detailed, professional actors record their voices, reading from a script and improvising. For example, Tom Hanks did the voice for Toy Story. Based on the storyboard, the Art department creates the initial sketches for the characters, their clothing and emotions, and the design sets. Many artists prefer to do this by hand on old-fashioned paper and paper. Take a small book – or even a post-it pad. Think of a subject. Start with something easy – like a bouncing ball or a moving stick. Now flip to the last page of the book/post-it stack. Start with position one. And then, on each page, draw a successive position that changes from the previous one ever so slightly. Continue doing this until the book is complete or you run out of steam. Now hold the book at the last page (your first frame) and flip the pages of the book to see the animation you’ve created!